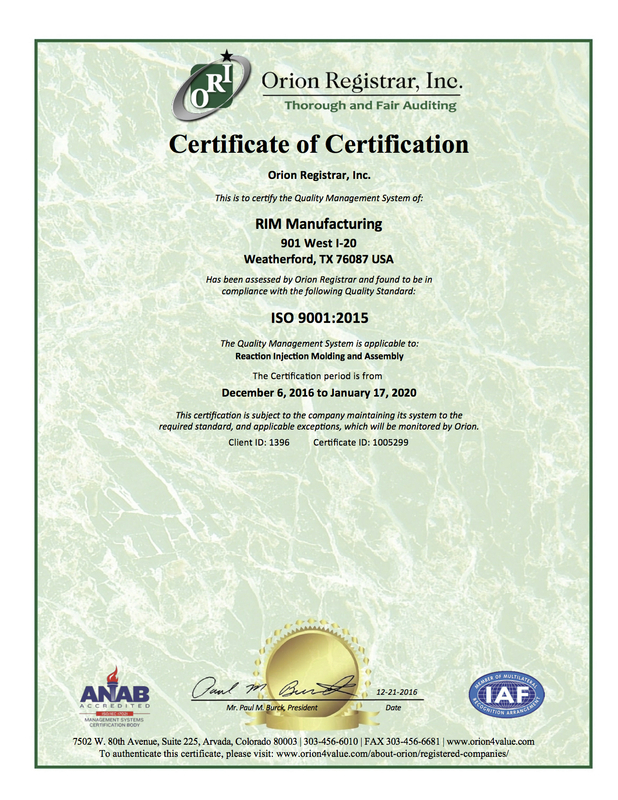 RIM Manufacturing is well-known for helping our customers design molds, or “tools,” for the greatest efficiency, uniformity and production productivity. During this process we also consider including after-mixers and gating to maximize part quality. The right RIM system – part size is the primary factor for determining the size of the dispensing machine used to inject the polyurethane into the mold. 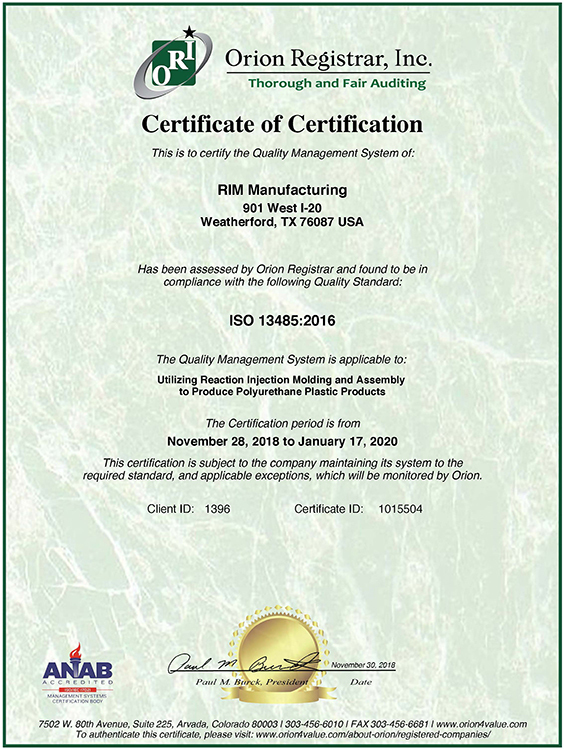 RIM Manufacturing offers a wide range of capability with three of the largest machines made, two mid-size and two small machines. RIM parts can weigh as much as 100 pounds, though the largest part RIM Manufacturing currently produces weighs approximately 50 pounds. Mold Clamping Pressure – determined by the amount of chemical and the type of RIM system injected into the mold. Generally, clamping pressure can range upwards of 200 tons, but typical molding pressure is less than 100 psi. 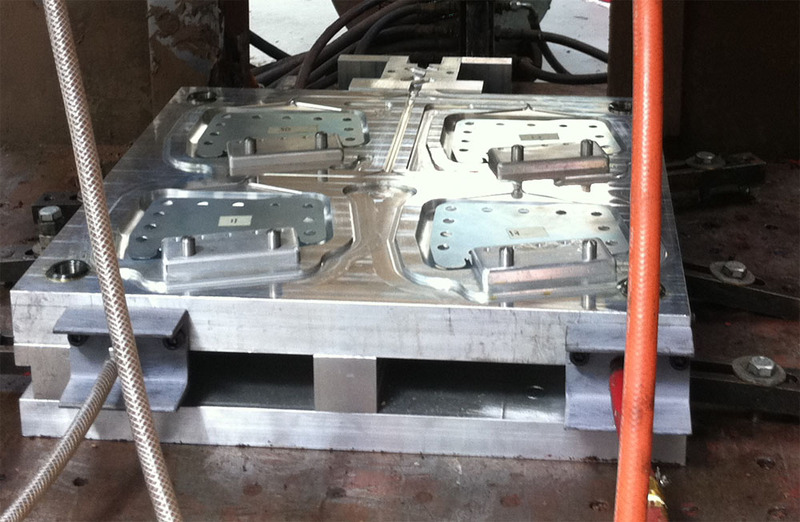 Mold Cost – RIM molds can be as much as 70% less than injection molding. 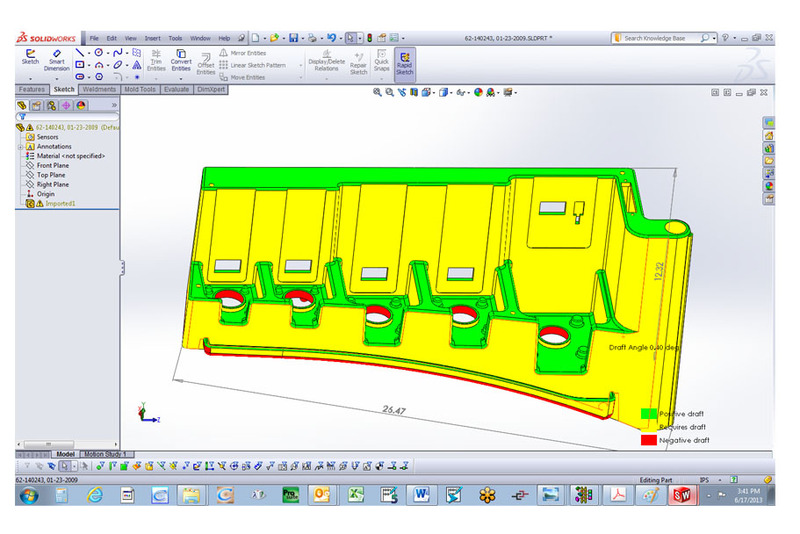 Lower in-mold pressures allow molds to be created from lower-cost materials, usually machined aluminum. Part shrinkage – all plastics, including RIM materials, shrink during molding. The amount of shrinkage characteristic of the particular RIM system is factored into the tool’s design. Dimensional tolerances – usually geared toward form, fit, and function, molds can be built to absolute dimensions. Because this is more costly, designing parts for more practical dimensional tolerances generally saves money.